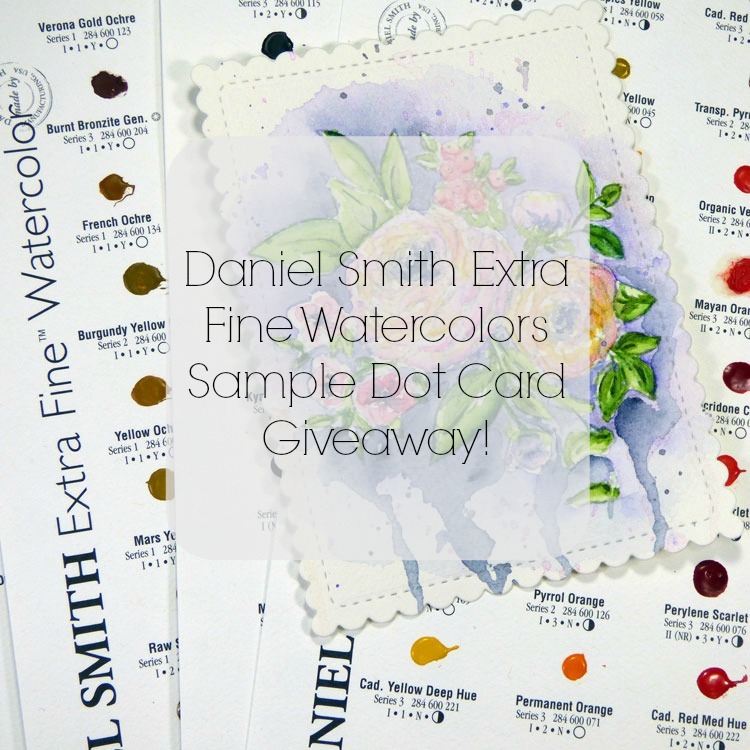 Inky Fairy Designs: Daniel Smith Watercolors 238 Sample Dot Card Giveaway!! 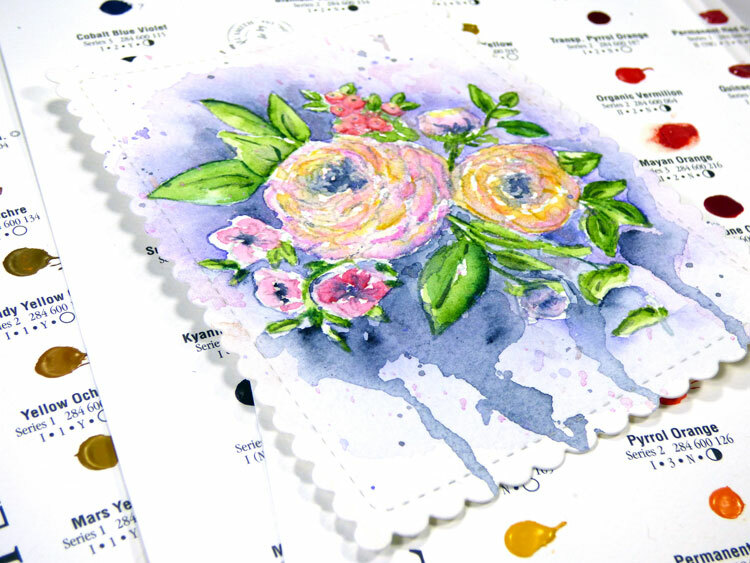 Daniel Smith Watercolors 238 Sample Dot Card Giveaway!! **please scroll down for newer posts. I'm here with an exciting post! 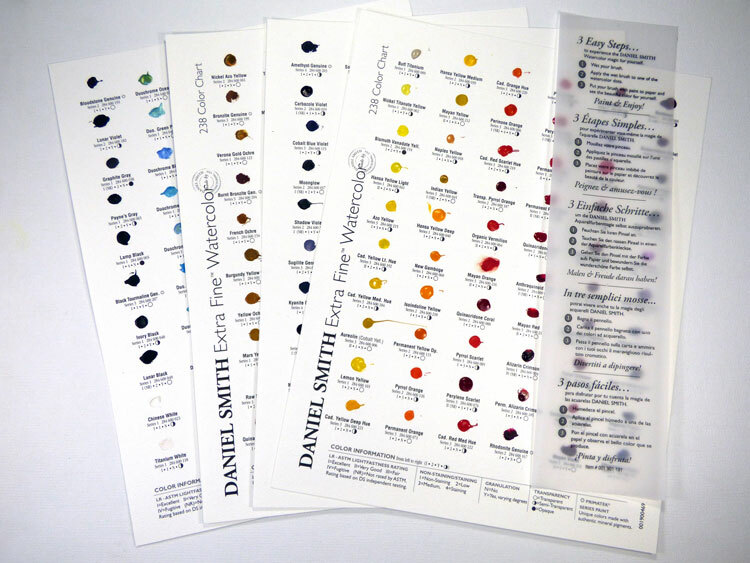 You all know how much I love my Daniel Smith Extra Fine Watercolors and they have been so generous to provide me with TWO sets of their Sample Dot Cards (all 238 colors) to give away. I will have one giveaway right here on my blog - just fill out the info below as well as one on my Instagram account so be sure to head over there to get entered as well! I have put together a little video for you today so you can see them in action. I wanted to have this up yesterday, but I had major technical issues when trying to record my voice over - after many, many, MANY failed attempts, I am leaving it as is and hope you don't mind. It's only at the very end that it stopped recording for me so not too bad, but I wanted it just right and it delayed my posting of this till today. I am leaving the giveaway open until the end of the month to give you PLENTY of time to enter and it is open to everyone world wide! Don't want to wait to see if you've won…Blitsy has these awesome Daniel Smith - Extra Fine Watercolor 238-Dot Card right now at a phenomenal price! I love watercolors because they are so forgiving. I'm new to them, but my grandmother painted with watercolors. I feel a connection with her when I use them. I love the loose look and artistic feel from watercolors on cards. Woo hoo awesome giveaway.. I would just love to try them all to see what fabulous colors to add to my collection. I love how versatile watercolors are, and how I can make so many different types of projects with them. I have a small set, but I can do so much with them because it's so fun & easy to mix colors! 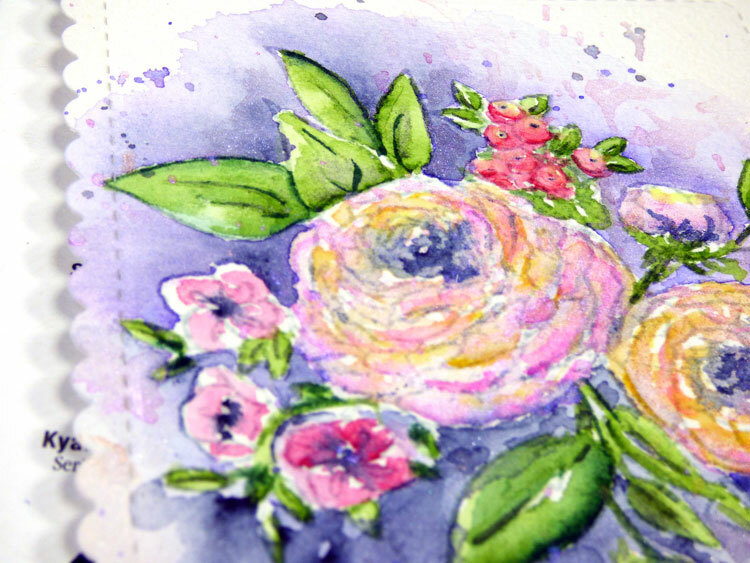 I love the gorgeous softness of watercolors, like your lovely flowers! These would be so much fun to play with -thanks for the chance! I just loved your video on this color dot chart, I love the look and feel of watercolors! The fact that you can get a light or bold color with one color by how much water you use is fantastic! I love this girl!!!! I love watercolors and the beautiful artist look they can give any image!!!! I'm just nervous out of stepping out of my Copic comfort zone... Not having control scares me. I love all your work and am envious of your undeniable talent with all coloring mediums! I have been looking everywhere for the right water colors to use. I'd love to win this as I've heard these are really good. Thank you for a chance. Loved your video! I feel like an artist when I use watercolors.